At PSJC we believe in the importance of life-long learning. 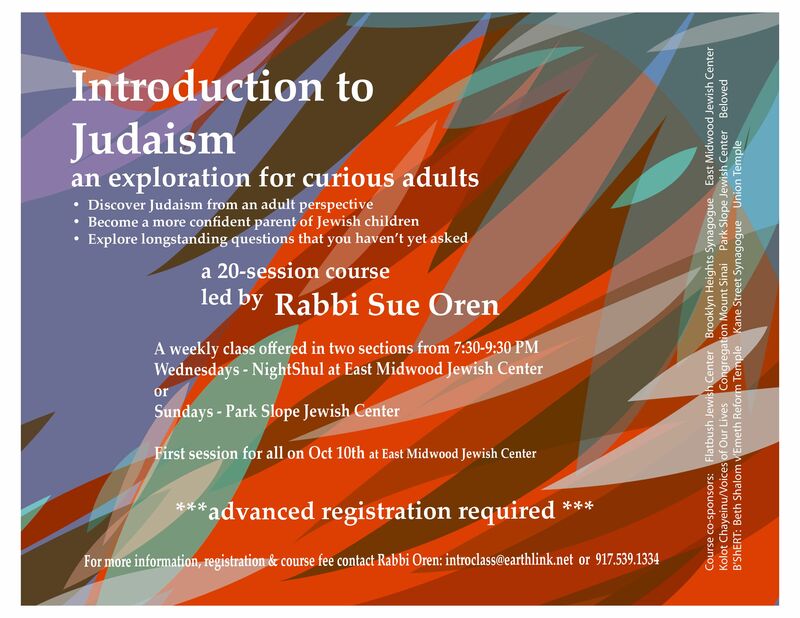 We believe that an adult understanding of Judaism requires adult study and spiritual/intellectual engagement. We offer a diverse range of adult education classes, open to both PSJC members and non-members. PSJC members teach many of our classes and we bring in distinguished experts to teach subjects, as needed. 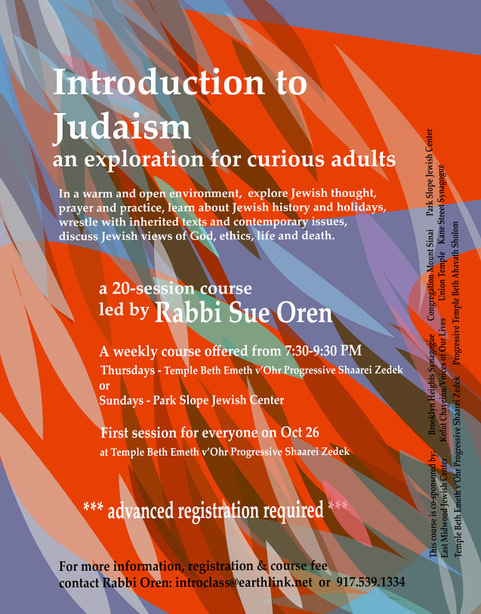 Join this 20-session course on Jewish life, thought and practice In a warm and open environment, learn about Jewish history and holidays, wrestle with inherited texts and contemporary issues, discuss Jewish views of God, ethics, life, and death. Have you always wanted to lead Davening? Want to learn something new? Please register here for this study group. Would you like to learn to chant Torah? The world of Mussar is opening before you and you are invited to enter. To learn more about the Path of the Mensch, please contact Rabbi Carter. We will explore the Book of Judith with Rabbinic Intern Raysh Weiss. Have you ever been confused during Saturday morning services? $36 for the entire series. For the latest festival news, click here. Between the internet, facebook, google chat, e-readers, skype and so much more, the ways in which we interact with one another has changed drastically in recent years. We will discuss a Shoah novel about an 11 year old boy who is hidden from the Nazis in a brothel by a kind-hearted but emotionally troubled prostitute. It had been a while since we've had a PSJC cooking class but a lot of us are still cooking what we learned years back. Sol Makon had selected and introduced four documentary films covering heroism, resistance, and rescue during the Second World War. Many of you joined us for the Brooklyn Brownstone Communal Yom Hashoah Commemoration on Sunday evening, featuring June Hersh, author of Recipes Remembered: A Celebration of Survival. Critically acclaimed by the New York Times, the Chicago Tribune and the Jewish Week, the book contains the cherished recipes of Holocaust survivors and remarkable stories that accompany them. Though books were NOT be sold on that evening, the Museum of Jewish Heritage did issue passes of admission to everyone in attendance, along with instructions on how to purchase a copy of this beautiful book. We were joined by our wonderfully gifted cantors and musicians in the area.